Nine years ago, I gathered my courage and asked mentor Jonathan Maberry if he could give me pointers to help me with a newspaper column I was writing. “Sure, I have a minute,” he said. I handed him the page and after reading it he said, “It sounds like your ideas dropped from the sky. Put in more of yourself.” Since then Maberry went on to become a New York Times Bestselling thriller writer, and I went on to learn how to put myself into my writing. I took memoir workshops, and collected anecdotes about myself. Then, to figure out how to put them together, I read and analyzed memoirs. In 2007, I decided to write a blog about all my efforts. But what does one write in a blog? My first idea came from a news article. I drove down to Philadelphia to see Tommie Smith, the runner who raised his fist on the victory podium in the 1968 Olympics. The result was a brief post about touching history through memoirs. What next? From the pile of memoirs I was reading, I began to draw lessons. Many mornings I woke with an article idea, and sometimes more than one. The file of new ideas grew faster than I could post. Writing my blog week after week was teaching me how to brainstorm new topics. The next challenge was connecting with readers. I left comments on other blogs and was soon receiving comments back. I had begun tapping into a network of other memoir junkies. My obsession with the genre, which started as an exercise to find my own story, had come full circle and connected me with people who shared my passion. To earn and keep my readers, I wanted to improve my writing style so I joined an online critique group. Internet Writers Workshop. The members of this critique group help me improve each piece. In exchange, I help them. Doing this year after year has made me a better writer and a faster, smarter editor. Because I was a blogger, memoir writers were willing to give me interviews. So in addition to learning about memoirs by reading them, I could ask their authors for additional insights. The benefits of blogging grew. I developed a writing voice and style, a writing habit, and contact with memoir readers and writers. And thanks to occasional praise for my writing, I was gaining confidence. I was “becoming a writer.” After six years of blogging and 350 posts I felt good about adding “blogger” to my bio. Being a blogger might not seem to carry much weight. After all we don’t need approval from gatekeepers. Or do we? To maintain a loyal readership, a blogger must please each reader. My articles must be easy to read, informative and concise. So becoming a blogger is a terrific step along the path toward becoming a Writer. What is the step after that? Looking back across my own literary landscape, I see the profound influence books had on me. I wanted to contribute books to future readers. By this time I had already written one type of book. After teaching workshops for several years, I collected my course material into a workbook for students. That was rewarding, and I wanted to repeat the performance, this time basing my book not on workshops but on blogs. When writing a book, I would need to establish background, build my case, and draw the reader to an interesting conclusion. But unlike in a bog, I had to sustain attention across two hundred pages instead of just two. Reshaping and knitting six years of research into this longer form took several more years than I expected. Finally, Memoir Revolution is published and I turn again to my blogging community to teach and to learn, to reach others and promote others. 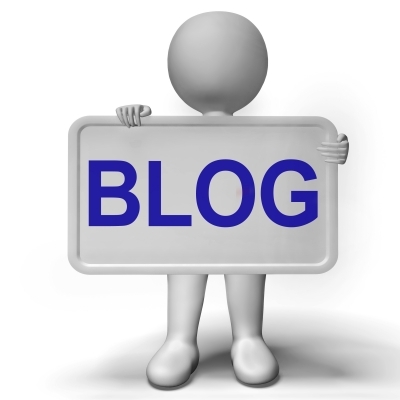 Blogs form communities that link authors and readers in a new, vigorous alliance. When you are ready to communicate your own obsession, consider using this method. Since you love your subject, you already have a reason to gather information, develop expertise, and learn how to write it. Creating a blog gives you an opportunity to shift your passion from a lonely one to a social one where you can test your ideas, get feedback, and build a stronger writing voice. When you think you might have enough material to form a book, step back and consider the larger footprint of what you want to say and how you want to say it. If you still believe you are ready, you have an enormous head start, and your blog community will provide ongoing support through the completion of the book and beyond. To learn more about my process, check out a few of my blog posts and then check out my book, Memoir Revolution, available from Amazon. Jerry Waxler M.S. 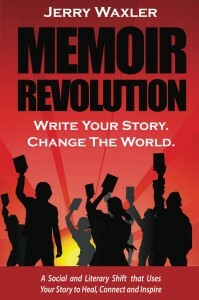 is the author of the book Memoir Revolution and the blog, Memory Writers Network. Jerry is a board member at the Philadelphia Writers Conference, on the advisory panel of the National Association of Memoir Writers and teaches writing at Northampton Community College. 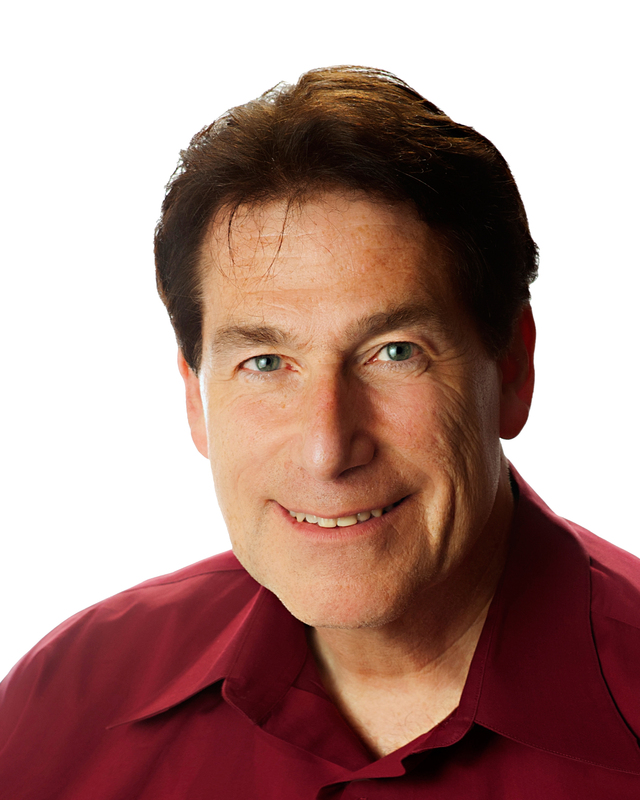 I was one of the early ones to connect with Jerry, as we started blogging about life writing and memoir around the same time and somehow found each other. Jerry has definitely earned his stripes with remarkable consistency and steadiness and his remarkable reviews and interviews have more meat than a team of oxen. I love the way he uses his own story to illustrate the impact of the MEMOIR REVOLUTION. Bravo Jerry! Thanks, Jerry, for this informative post. I’d like to start writing a blog; the only part that deters me is the technical part. I’m going to try to understand more about it by reading Blogging for Dummies. Thanks Sharon. Yes! You were one of the early ones, and in fact, by finding you and becoming a co-conspirator in our shared love for memoir writing, you helped me understand the notion of the blogging tribe! Thanks for that! As for consistency, that was in 2007 and we’re both still going strong. This is one of the coolest things about blogging. In addition to linking us with readers, it links us to fellow writers. Thanks, Catherine. When I started blogging, I read a couple of books about it too. I guess we’re old-fashioned book people. Another ways is to search on youtube. You can probably find lots of video tutorials. In any case, once you overcome initial technical hurdles, the technical aspects become routine, and you can get back to the writing and sharing that you love. I like your idea of putting more of yourself into your blog. I began as a newspaper writer and so I try to present the facts and remain objective. But perhaps what I’m missing is an opportunity to share my own discoveries within the niche I write about. I’ve also been thinking about starting a blog on a completely separate topic — one that is closer to my heart — so this information will help me with both blogs. Thanks! That’s a perfect application of blogging, Frances – it helps you develop a more personal voice. The first time this occurred to me was in a writing workshop presented by one of those old-fashioned professional journalists who said he had been trained and expected to write objectively. He said that being assigned by his city paper to create a weekly column forced him to find a voice. Have fun sharing your own discoveries in your own niche. Your personal interest and experience make you an important messenger. I think the wave of the 21st century, what I call the Memoir Revolution, is that we are collectively becoming more intrigued by the things that are closer to our hearts.